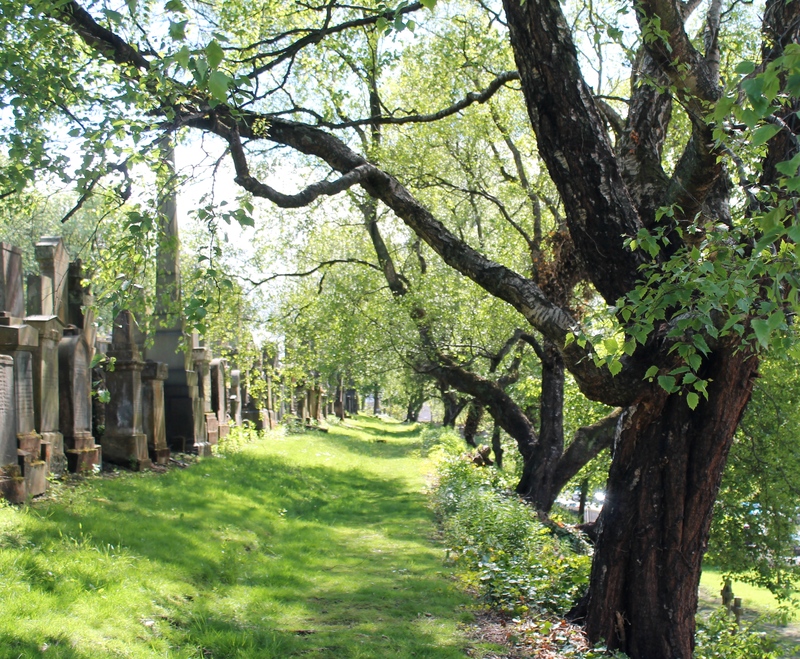 It is easy to get lost in the Necropolis. 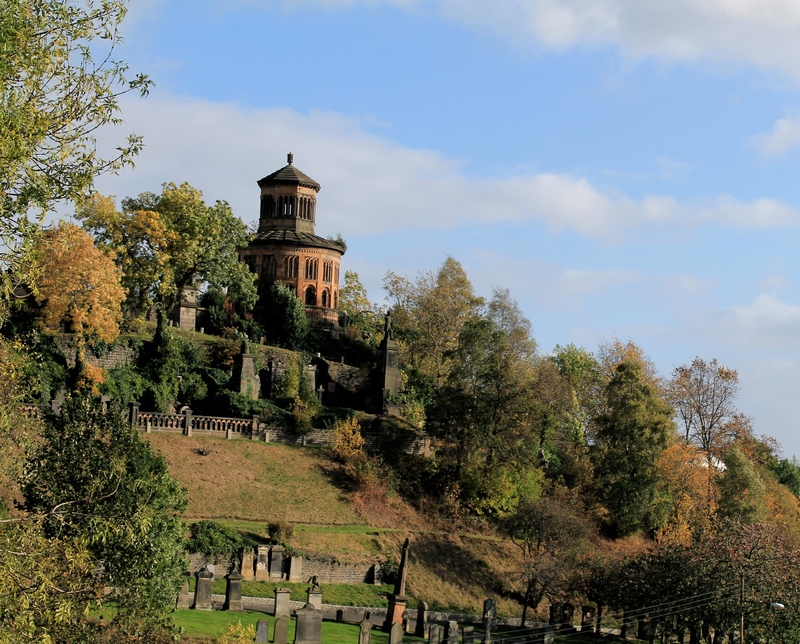 However, getting lost can be a rather joyful experience, with mysterious carved figures, ruinous relics and overgrown stone steps emerging from this unlikely green hillside in the city’s historic centre. 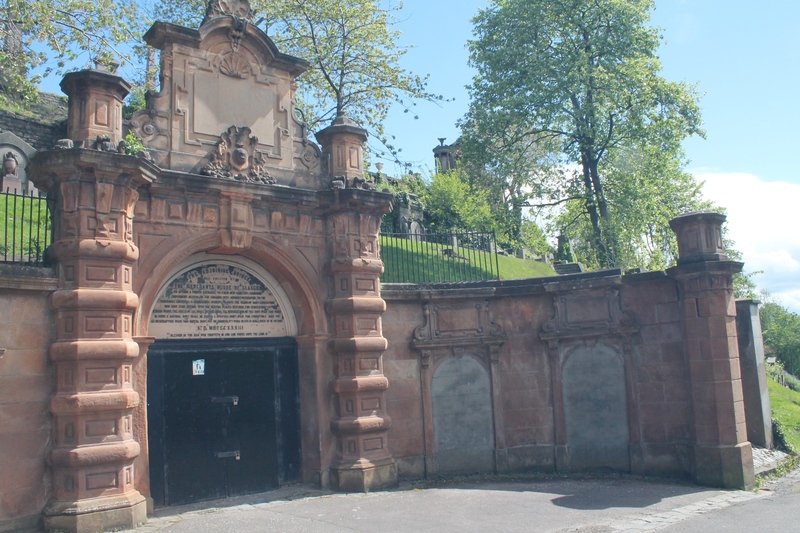 Having already spent a few afternoons happily lost, I decided that it was time to get educated, and booked a tour of the necropolis, run by the Friends of Glasgow Necropolis. 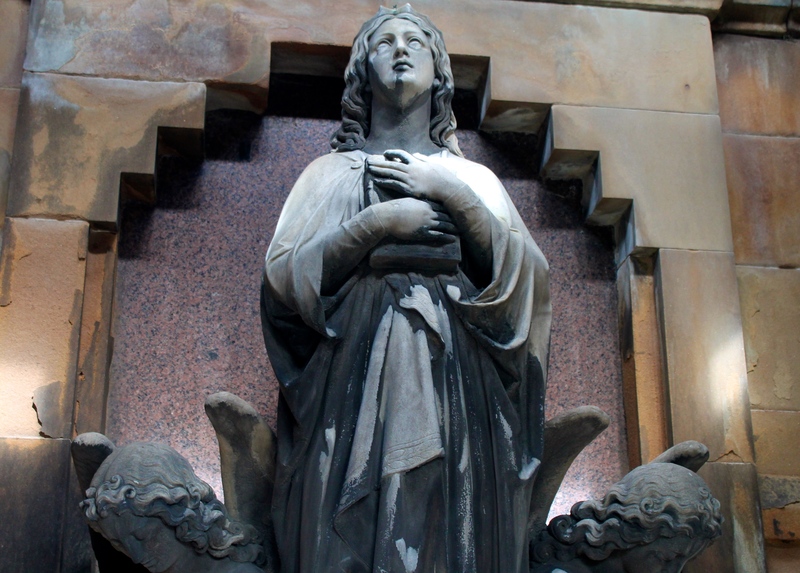 This charity are concerned with a multitude of great causes, from returning the graves to their former glory (hundreds of years of Glasgow weather can wreak havoc with the appearance of even the loveliest stone angel) to collecting information, stories and memories of the 50 000 people who came to rest in this picturesque spot. The tour attracts a multitude, from couples, to families and generations of families. Many are local, and others are local in a sense, as one Australian tourist reveals herself as the great great great (I actually have no idea how many greats but there’s probably a good few) granddaughter of the brothers who won the competition to transform the then Fir Park into this great cemetery, inspired by Père Lachaise in Paris, back in 1831. Necropolis royalty if you will. After a sweetie to get us up the hill, courtesy of tour guide Nigel Willis, it was time to begin the tour with the Bridge of Sighs, the missing Molendinar burn (said to have been fished in by the founder of Glasgow, old Mungo, back in the 6th century) and how some body snatchers resulted in the grandest lawnmower store you may ever have seen. This certainly beats the falling-down shed we have at home. No wonder the grass is always cut here. The tour leads us around the hill to graves you probably never would have noticed if you weren’t looking for them, and Nigel’s knowledge goes a long way in bringing the stories to life. If you were ever wondering what the missing link is between the Queen of the Gypsies (don’t forget to leave a penny at her grave, it’s terrible luck not to), Glasgow’s first Jewish population, a seemingly invincible soldier and one of Glasgow’s most scandalous murder mysteries, it’s to be found engraved on the stones of the Necropolis, where they all found their final resting place. The tour was fascinating, and all the guides are volunteers, so it would be well worth attending a few and getting different information depending on the interests of the individual guide. With 50 000 people buried here, it is natural that each guide is eager to introduce you to a few different figures from the past. A wonderful afternoon for a wonderful cause which should certainly be added to your summer plans. 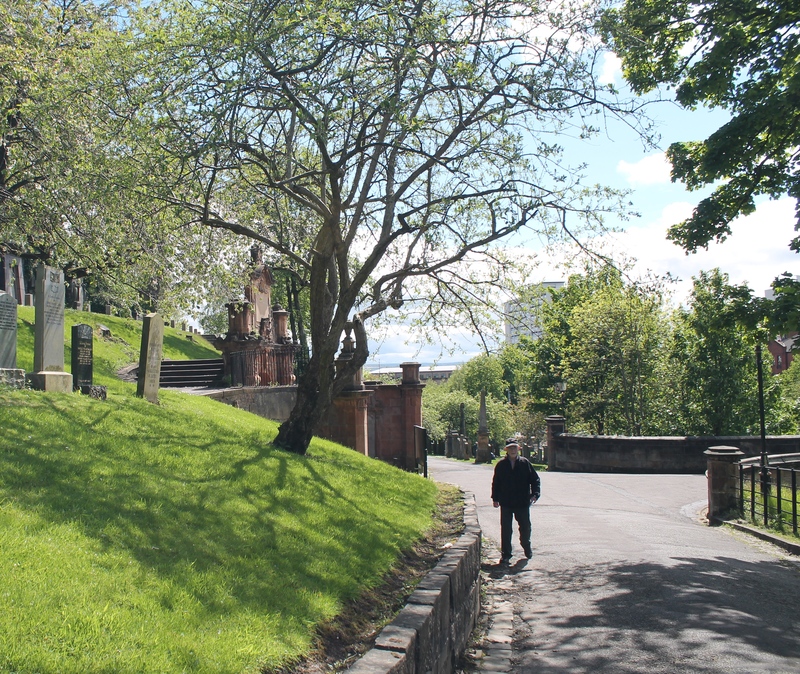 As well as recounting the long lost tales of the interesting characters to be found on this hillside, Nigel was also quick to point out the restoration which had been done by the charity, and also the restoration still needed, which is pretty vast in a cemetery of this size. Take a tour (click here for info) and donate generously! You won’t be disappointed. 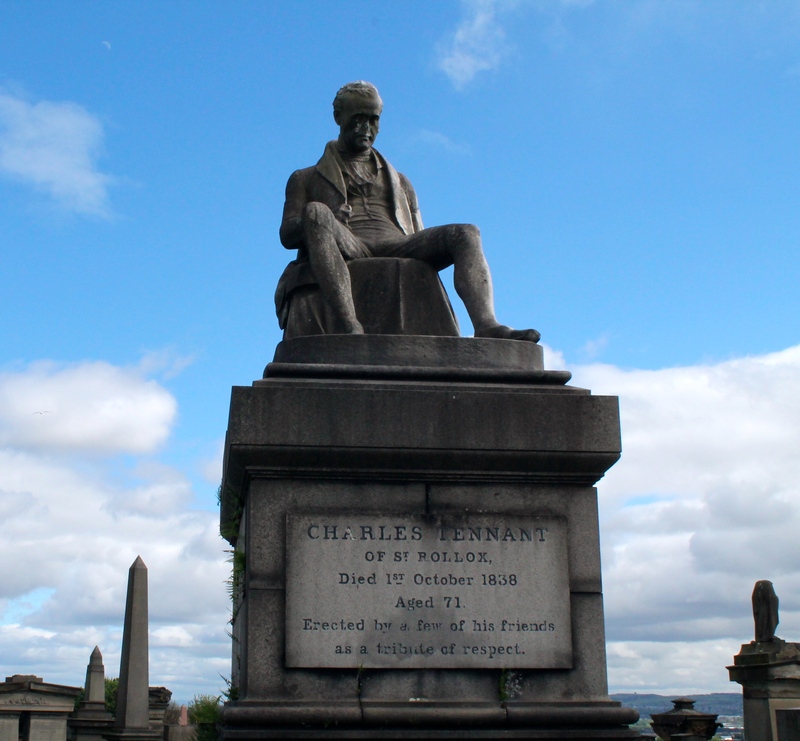 You’d be forgiven for thinking this Tennnant was related to the Tennents beer factory next door… but his story is a little different. 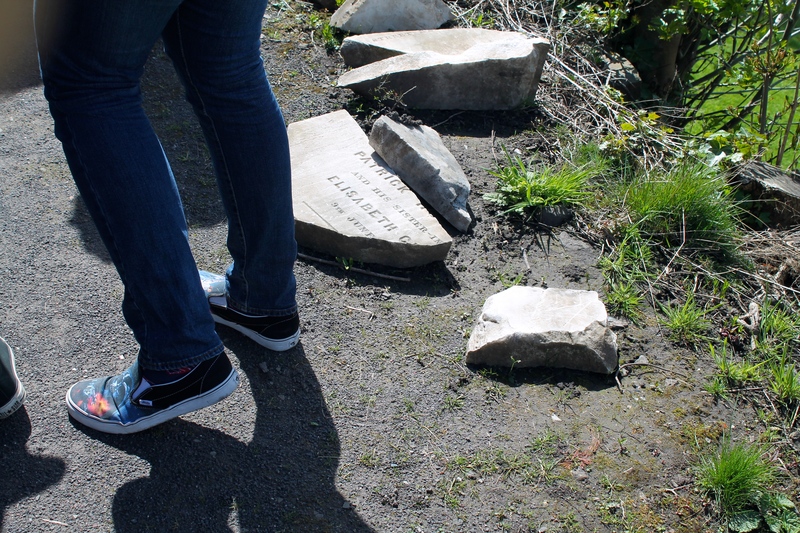 With a bit more funding, this stone and its story can be pieced together again.